Trained Professional Staff - Established in 1986, JP's Best Electric works hard to train staff in the latest technological and electrical advances to hit the security industry. 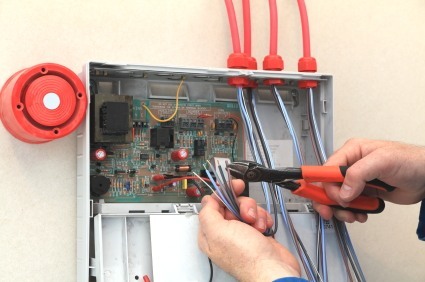 All technicians are familiar with quality brand names and the ins and outs of your alarm system. Avoid hassles and headaches by hiring professionals in the know. Call JP's Best Electric to have a look at your building and offer professional alarm service. Affordable Prices - Keep the price of security reasonable with affordable alarm installation rates at JP's Best Electric. Your peace of mind and safety are of utmost importance, and professional alarm systems are a valuable investment. But JP's Best Electric wants these products and services to be manageable and offers the competitive rates you're looking for, without needing to sacrifice on quality. JP's Best Electric offers professional and prompt alarm system installations at a reasonable cost, perfect for homeowners and business owners across the region. Call (315) 465-0395 today for more information and to book an estimate for your project.